Welcome to week two of our inquiry book study! For those who missed it, you can listen to last week's webinar by David Perkins here. My Bio: I am a literacy teacher in Saskatoon. Currently, I am on an educational leave while completing my final term in the Master of Education in Teacher-librarianship program through the University of Alberta. I am in the process of writing my capstone paper on the topic of designing authentic, inquiry-based experiences for 21st century learning. One of my big questions is determining what it means to “understand” in today’s rapidly changing information landscape in hopes of clarifying my vision of 21st century classrooms and schools. 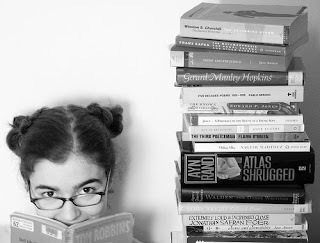 As you can well imagine, Making Learning Whole has been a perfect fit for my learning! I have to begin by telling a story. 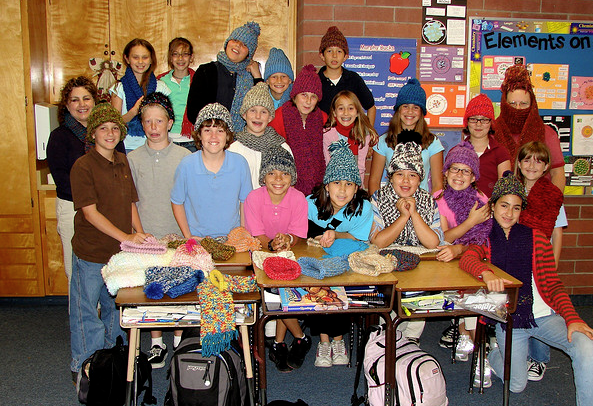 Last year, I was invited to do some co-teaching in one of the Middle Years classrooms at my urban community school. Our primary goal was to improve student writing, so upon examining our student writing samples, the teacher and I established that one of our objectives would be to help students organize their writing by gaining a deeper understanding of text structures, particularly transitions. Whenever I teach writing, I always try to show positive exemplars using pieces of writing that I love; on this particular day, I had framed the lesson using a passage from the text, Through My Eyes, the autobiography of Ruby Bridges. 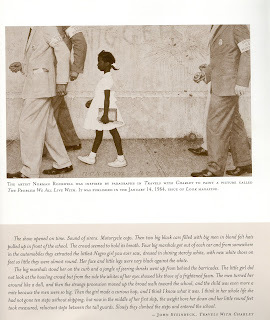 In this passage, Ruby Bridges retells the events from her birth leading up to and including that historical first day at William Frantz Elementary School; written with wonderful transitions to sequence the events through time. I opened the lesson by asking the students to tell me what they knew about the Civil Rights movement and/or Ruby Bridges. 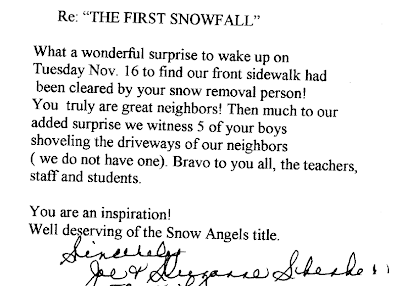 The students had very little background, but one student offered that this “might have happened in the U.S, perhaps something to do with Martin Luther King Jr.” Immediately, another of our students responded, "Who cares about that? That has nothing to do with us, why are you making us learn about something that happened in the U.S anyways?" At first I was taken aback, but I just smiled and replied, "Great question. Why should we care?" Yes, “beginnings are important,” says Perkins. So, I began by showing an image of the Norman Rockwell painting, The Problem We All Live With, (original image can be found here) and we inferred what might be happening in the picture. The students were highly engaged as we inquired into the painting, identifying the details we could be certain of, and those which must be inferred from our experiences and clues in the image. Once the students had formed some hypotheses, I showed a short two minute video clip from the Disney movie, The Story of Ruby Bridges, depicting those few minutes as Ruby gets into the car and walks to the front doors of the school. We discussed how Ruby must have felt, and we imagined walking in Ruby’s shoes that morning. I then read aloud the passage from the text leading up to this moment, in Ruby's own words. I think we had one of the best conversations ever as a class that day as we discussed how difficult it can be to face racism and the courage it takes to stand up for our rights and for what we believe (after all, our students know about racism, courage and human rights). We talked about big questions such as: What is worth fighting for? What allows some people the strength and courage to make sacrifices for what they believe (Ruby’s parents, for example, in allowing Ruby to go to school; her father losing his job; sacrificing personal safety...)? When it came time to write, I reread the passage, continuing on into Ruby’s first day of school. We examined the words, phrases and structures that Ruby Bridges had used which helped us to sequence the events of that day. I then asked the students to retell an event from their own history using some of the transitions Ruby used in the passage (or their own). I think it was the best writing these students had ever generated for me. As recess neared, this normally reluctant room of students asked if they could read their life stories aloud. It was moving, listening to students tell their personal stories, sharing (and showing) their courage while facing some of the hardships of their lives, openly and respectfully... using transitions to sequence the events. The student who had challenged me at the start of the lesson was perhaps the most engaged of all. On the way out the door that morning, I stopped that student and thanked her for her engagement in both the discussion and in her writing. Her reply, "Yeah, well for once, we did something that I actually cared about!" Although I had only one scheduled block with this classroom per week, the students asked their teacher if they could continue the learning without me. Of course! As well, we came back to the text several times in our writing; modeling transitions to describe, show cause and effect, and so forth. Perkins’ Chapter 2: Make the Game Worth Playing, naturally brought me back to this story. I think about how our goal that day was primarily to teach writing transitions. The fact that we achieved this goal and went beyond into something that really matters reflects, for me, the power of the choices we make as teachers. I think that is why this chapter is called “Make” the Game Worth Playing, not “Find” a Game Worth Playing. It’s truly what we make it. We certainly could have given the students a worksheet of transition words and phrases and had them practice these hard parts of writing in elements (elementitis). Alternatively, our students could have learned about text structures, the Civil Rights movement or Ruby Bridges without big questions guiding our thinking (aboutitis). Instead, I think we were able to achieve something much deeper and far more worthwhile, simply by framing the learning, and establishing a good beginning. What strikes me is that this shifts the “hard parts” from the students to us; it’s not always easy framing the learning in ways that matter to the students. Like so many things, I think it just takes practice. Although I readily admit that I am still figuring it out, I did have some practice beforehand, as well as the support of both colleagues and experts who helped me figure it out along the way, too. One of these experts was Jeff Wilhelm, author of Engaging Readers & Writers with Inquiry: Promoting Deep Understandings in Language Arts and the Content Areas with Guiding Questions (2007), a book that really helped me along my journey. What are your thoughts about this chapter or Wilhelm’s clip? Can you share some of the choices you have made in reframing topics so they matter (generative topics, as Perkins would say). Or perhaps can you share a favourite beginning, a story about the power of choice, expectations or challenge? Hands at Work Africa: Update! As written before, one of our Calgary Science School teachers, Chris Dittmann, is currently on a one-year leave of absence from our school. During this year, he's volunteering for Hands-at-Work in Africa, an organization that works with oprhaned and vulnerable children in sub-saharan Africa. Leading up to the Winter holiday, our school participated in a number of student-led fundraising and awareness building activities, as part of our annual Peace Festival. 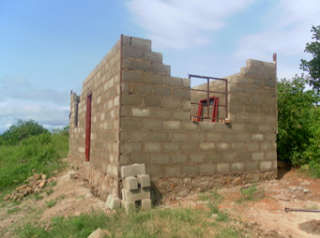 This student-led fundraising brought in over $13,000 for building projects in South Africa! What amazing and supportive families we have in our school community. This year, one of the significant changes we have made at our school is the inclusion of a regular block of time, called "Learning Strategies" into our schedule. One of the key elements of inquiry-based learning at the Calgary Science School is embedding student work into authentic contexts. Our teachers spend a great deal of time designing work that bridges the program of studies and the 'real world.' This notion comes to us from our work with the Galileo Educational Network and their Inquiry Rubric. One such context at our school this year is a community garden. We applied for healthy living grant back in the spring - and we were awarded the funding necessary to begin a community garden on our school site. In addition to all the great hands-on experiences our teachers and students will have through building, planting and maintaining the garden, this project also creates a context for students to be involved in the design and planning stage. And one group of grade 7 students has taken up this challenge. 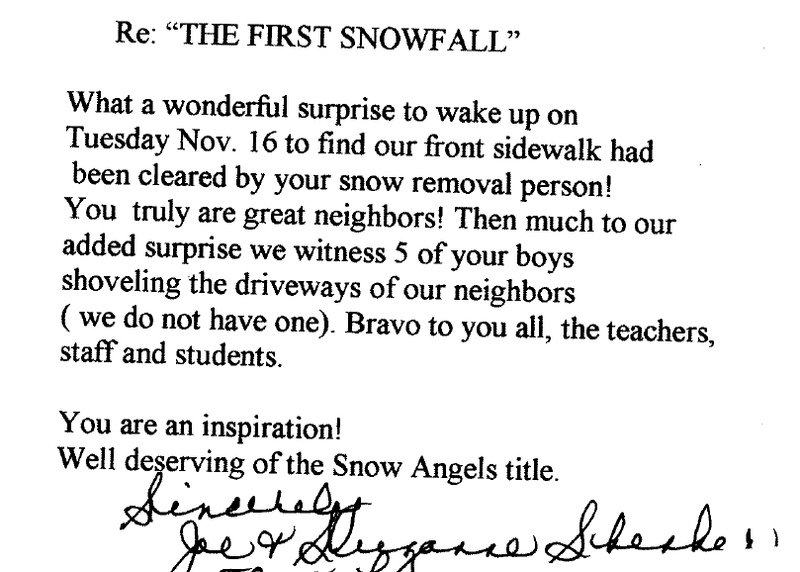 For some residents of Lakeview, the first snowfall of this winter was met with the arrival of the CSS Snow Angels. 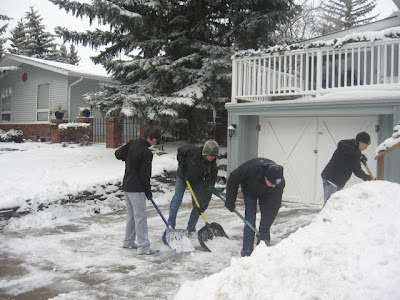 This group of grade 9 students took up the idea of becoming snow angels for their service learning project this term. One local resident commented " What a wonderful surprise to wake up to find our front sidewalk had been cleared". No doubt this group will have a busy season ahead of them! The format of this series is a new post every Tuesday for 6 weeks - followed by discussion using the comment feature. The only exception is next week, when we’ll have the opportunity to attend a free webinar by the author David Perkins. Info about the webinar can be found here. We all know that in the experience of play, we are caught up in something beyond ourselves - even beyond the totality of the players involved. The act of play seems to have some reality that exists between the players – it’s not found in only the experience of any one player. As well, as Gadamer writes, “play fulfills its purpose only if the player loses himself in play.” This is why play is so attractive – for people of all ages – it’s something beyond us that we can get ‘caught up in’ – an experience beyond ourselves. The Calgary Science School is starting an Innovation and Education "think tank" discussion series. This initiative is designed to get a range of educational stakeholders together to discuss emerging ideas and possibilities in education, particularly around different technologies and their implication for the classroom. A grade 8 teacher from the Calgary Science School, David Scott, will be the facilitator for our first event. David has become very interested the potential of digital publishing or 'etextbooks' - particularly as resource for teacher professional development. David is starting to build his first "integrated digital teaching resource" - a digital document embedded with video files, student examples and assessment resources.